I have been involved in endurance sport since 1993 racing and coaching. I have the knowledge and experience to coach endurance athletes interested in all triathlon disciplines, mountain bike events and road cycling. If your goal is your first Ironman or an XTERRA victory, the MelRad Racing Training program is for you! Training should be basic, simple to understand and effective. I will teach you to understand the fundamentals of training and how to get the best of yourself. 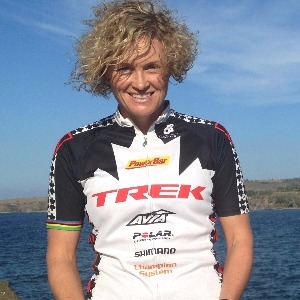 I started as a World Cup mountain bike racer but established myself as a pro racing as one of the best off road XTERRA triathletes in the world for ten years. In 2012, I decided a need a new challenge and switched to Ironman. So far I have earned six half distance victories and 15+ podiums in long distance triathlon. I did my first full Ironman in 2015, took 2nd place and immediately was hooked on the full distance. I have raced as a pro and within the national program for Canada. I understand sport and different sport organization structures to help you qualify for the race you want to be in. I have had professional success. I am the first person to win three professional XTERRA World Champion titles and took the inaugural ITU Cross Triathlon World Champion title in Spain, April of 2011. I also have many finishes that weren’t wins I am proud of: 4x second place at XTERRA World Championship and a third place. For ITU Cross Triathlon I tried to defend my world title in 2012, fought hard and ended up in second place. I have five overall USA XTERRA series titles, an undefeated record of seven XTERRA Canadian Championship wins and five USA National Championship victories. In all I have won more than 50 professional races without counting my mountain bike racing career before 2000. I also have a lot of not winning in my history that is just as important – it has made me resilient. It is an amazing ride being an athlete, both the ups and the downs. I prefer to coach athletes with a minimum of three years experience in the sport. I believe beginners need a peer group to learn by osmosis before they are ready for an online coach. Success. Coach Melanie McQuaid has been notified of your message.